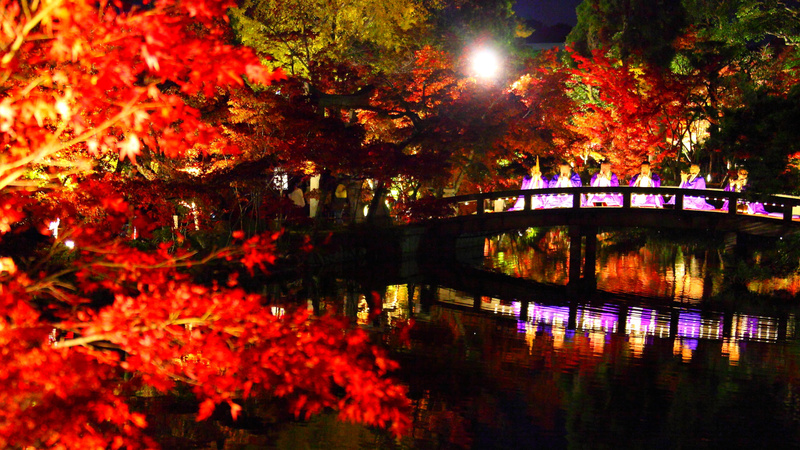 Eikando Zenrin-ji Temple is a Zen temple which is a famous place of autumnal leaves being called “Eikan-do Temple of the maple in autumn”, and has wonderful legends, such as the Mikaeri Amida Nyorai (Amitabha looking back) statue, for many years. It is said that the priest Shinsho, who studied Buddha’s preach esoteric Buddhism under Kukai (Kobo Daishi), began Eikan-do where the quiet space wrapped in trees or a pond spreads in 853. Though originally devoted to the Shingon Sect, the temple began a shift towards the Pure Land Sect under seventh chief priest and restoration patriarch Yokan. It was due to the role of chief priest Yokan that Zenrin-ji Temple came to be called Eikan-do. In Eikando Zenrin-ji Temple located on the slope, the corridor extending upwards connects many temples links to the top. The pleasure of the excursion around there and impending beautiful nature in front bring on particular flavor. The Mikaeri Amida Nyorai (Amitabha looking back) statue is the product from last years of Heian era to the early Kamakura era, and counted in one of the six temples dedicated to Amitabha. It is the very rare peculiar figure which has turned back over the left shoulder. 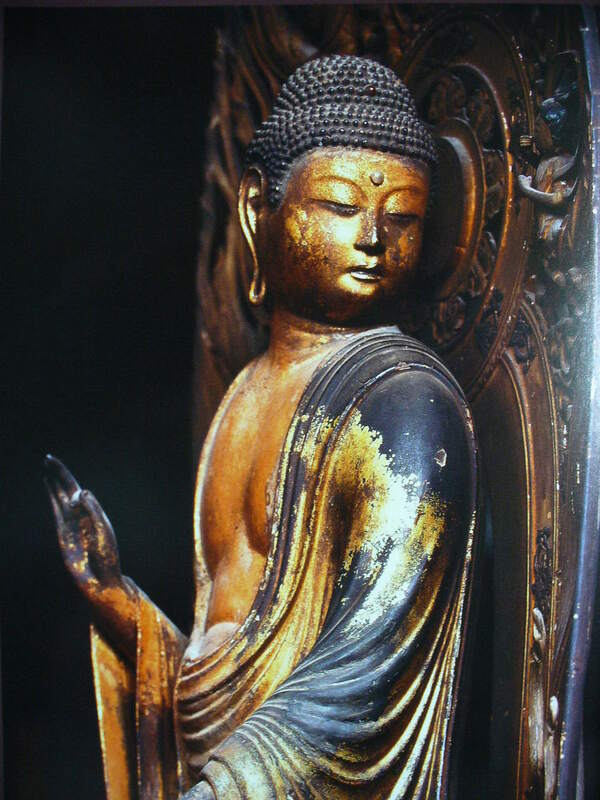 This figure originates in the tradition that the Amitabha Buddha statue looked back to Eikan under practice, and called out to him “Without being tardy, Eikan”. Garyoro (Reclining Dragon Corridor) which the roofed staircase linking many temples was given its name due to its resemblance to a dragon’s back. Kodai-ji Temple has the corridor of the same name. 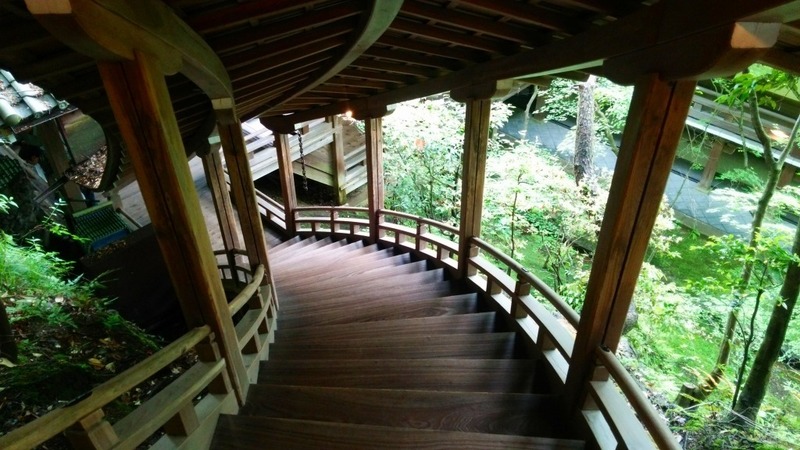 Garyoro of Eikan-do draws a loose curve and the combination of a roof and stairs looks like bellows. When you go up and down the stairs without the wall, it is interesting, looking at outer green as it is bending down to pass under the inside of the belly of a dragon. This corridor seems to be built without using one nail. 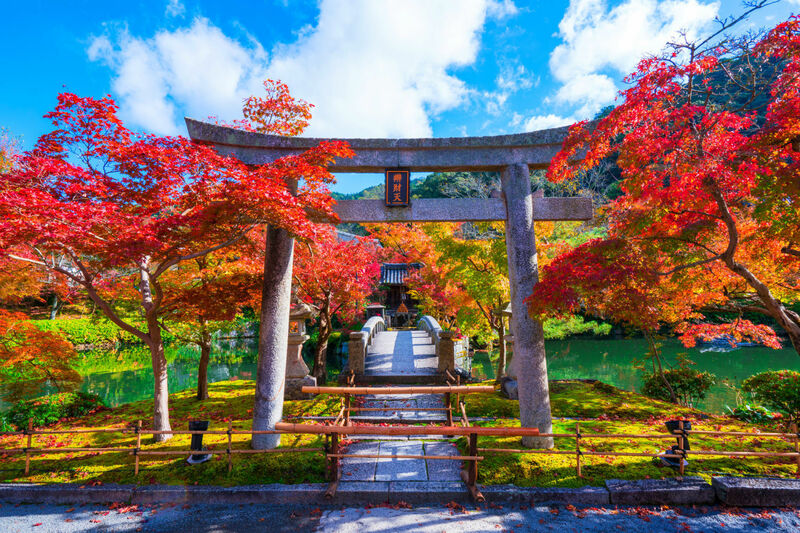 In many autumnal-leaves famous places in Kyoto, this place is known for the beauty of autumnal leaves as appeared “Eikan-do Temple of the maple” in Kokin Wakashu (A Collection of Ancient and Modern Japanese Poetry). 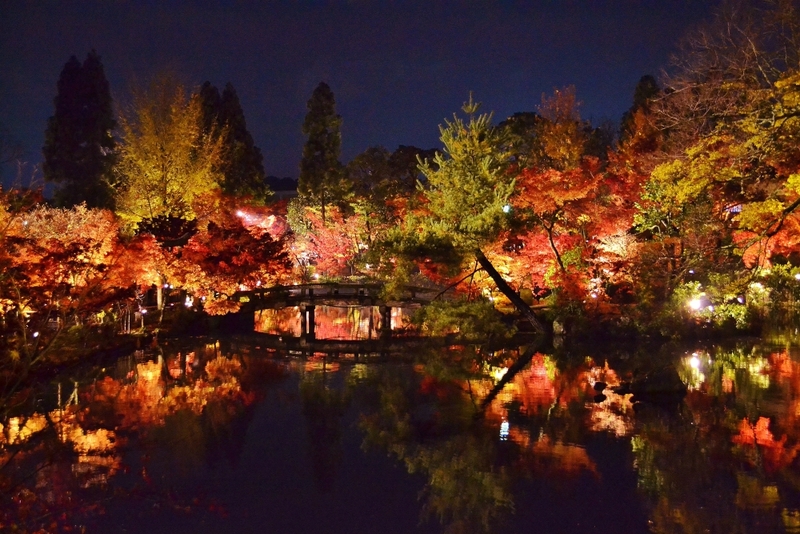 The precincts of a temple are lit up in the “night visit of autumn” performed from the beginning of November to the beginning of December.